The Federal Motor Carrier Safety Administration (FMCSA) reports that between the years 1990 and 2001 there were approximately 52,278 fatal crashes involving large trucks. For purposes of these statistics, a large truck was defined as a truck with a gross vehicle weight rating greater than 10,000 pounds. These numbers are further broken down by year and state. For instance, in the State of Louisiana, there were 111 fatal truck crashes in the year 2001. In the State of Texas there were 421 fatal truck crashes in the year 2001. Florida had 303 fatal crashes in 2001 and California had 334. In the year 2000, the FMCSA reported that there were 140,000 large truck injuries in this country. That translates to 68 injuries per 100 million truck vehicle miles traveled. Recent statistics have demonstrated that major arterial roadways were the scenes of the greatest proportion of fatal truck crashes. However, rural arterial highways had the highest frequencies of crashes for all categories of trucks. Most fatal crashes of trucks involve trucks that are pulling one trailer. A recent survey showed that 64% of fatal truck crashes had one trailer. 32 % of fatal truck crashes involved single-unit trucks, that are trucks without trailers, and fewer than 4% of the fatal truck crashes involved multi-trailer vehicles. Statistics also have shown that the front of the truck is the initial impact area in nearly 62% of all fatal truck crashes and 28% of non fatal truck crashes. The rear of the truck is the location of initial impact in about 16% of both fatal and non fatal collisions. 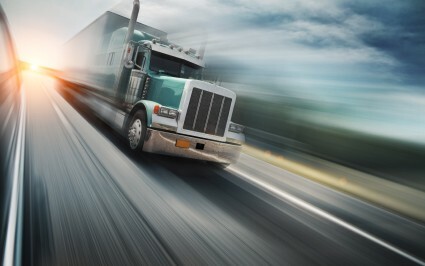 In the year 2001, there were approximately 2,627,605 roadside inspections of large trucks. In 2002 the number of roadside inspections increased to 2,808,062. In 1997, the International Highway Transportation Safety (IHTS) conducted a week of random truck inspections to determine the most frequently cited inspection violations of commercial trucking vehicles. That study demonstrated that 9,537 violations were issued for brakes out of adjustment during the week. There were 5,722 log book violations for the driver’s record of hours of service operating the truck. 3,765 violations were found for tires with inadequate treads and 3,658 violations for failure to comply with general inspection, maintenance and repair. These statistics are staggering considering that the random inspections covered only a one week period.